Bonn, 2 December 2016 – The 2nd Meeting of the North-Western European Range States of the AEWA Black-tailed Godwit (Limosa limosa) International Working Group took place from 23 to 24 November in The Hague, the Netherlands hosted by the Dutch Ministry of Economic Affairs at their premises. Meeting participants included Working Group members from Belgium, Germany and the Netherlands as well as the Royal Society for the Protection of Birds (RSPB) from the United Kingdom and the UNEP/AEWA Secretariat. The meeting was chaired by the AEWA Focal Point for the Netherlands, Wilmar Remmelts. The meeting started with a status overview of the Black-tailed Godwit in Europe provided by Maja Roodbergen from the Dutch Centre for Field Ornithology, SOVON. This was followed by detailed presentations from each country, which included information on progress made towards the implementation of the activities in the AEWA International Single Species Action Plan for the Conservation of the species. Overall all countries reported that some progress has been made with regard to the implementation of most of the essential and high priority activities on a local level. There are several local as well as regional projects underway which can serve as best practice examples for the conservation of Black-tailed Godwits as well as other meadow birds. However, as is shown by the continuing decline of the species, the activities are not yet being implemented on a large enough scale to reverse the overall declining trend. There was general agreement amongst all Working Group members that the focus of future efforts needs to be on increasing the implementation of the crucial activities outlined in the AEWA ISSAP sufficiently in each country. To assist in progressing implementation over the next three years, Nina Mikander from the UNEP/AEWA Secretariat facilitated a discussion to determine which of the key conservation actions for the species should currently be prioritized as well as a brainstorming session to identify activities that should be implemented under the Working Group in the context of a joint work plan. 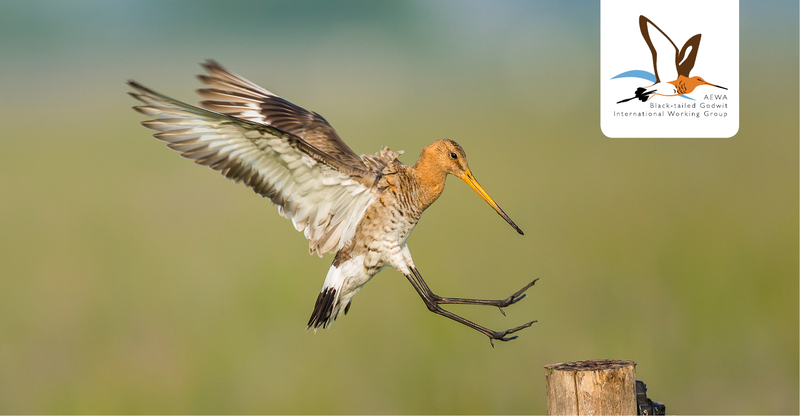 Actions identified include: exploring possibilities for a joint EU LIFE project for the main States in the breeding range; creating national as well as international coalitions among various stakeholders to promote the protection of Black-tailed Godwit habitats; strengthening the link between landscape conservation and the conservation of permanent grasslands; organizing exchanges of knowledge and best practice amongst managers and farmers; and combining Black-tailed Godwit conservation measures with ecosystem services. The nominate subspecies of the Black-tailed Godwit (Limosa limosa) is recognized by the IUCN as ‘Near Threatened’ and following the continued decline in numbers it is listed as ‘Endangered’ within the European Union. Threats in the breeding grounds in North-Western Europe which affect productivity and chick survival are thought to be amongst the main drivers of the continued decline. For more details, please contact AEWA Associate Programme Officer, Ms. Nina Mikander.